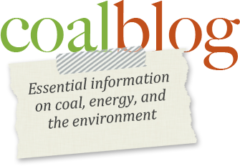 Editor’s note: This is a great article that provides Coalblog readers with a quick, easy to understand explanation of how to submit comments to the EPA for the inappropriately titled, “Carbon Pollution Standard,” (also known as the 111(d) rule, or the Clean Power Plan proposed rule), which targets existing coal-fueled power plants. Everyone who values the coal industry should submit critical comments to EPA on their outrageous proposal to regulate CO2 emissions from electric power generation. For that matter anyone who simply values reliable, affordable electricity should comment. It is easy to do and there are few formalities. The proposed rule is called the “Carbon Pollution Standard.” This name is ridiculous in itself because we are talking about carbon dioxide, which is the global food supply, not carbon, but never mind that now. EPA explains how to comment on this webpage. Perhaps the easiest way to comment is by simply sending an email to A-and-R-Docket@epa.gov with “Comment: EPA-HQ-OAR-2013-0602” as the subject. However you comment always include EPA-HQ-OAR-2013-0602 in the title, subject transmittal, etc. This tells the Air Docket people where to file the comment. OAR is EPA’s Office of Air and Radiation and 2013-0602 is the rulemaking number. The deadline for comments is October 16, 2014, but sooner is better because interested parties study the comments as they come in. Environmental groups often have their members send thousands of identical form emails commenting on a proposed rule, but this is not useful because rulemaking is not a popularity contest. In contrast, CoalBlog readers know a lot about the industry and can make specific, sometimes expert, comments. Technical comments are especially useful, for two reasons. First, EPA is required to respond to such comments when they produce the final rule. Second, if this final rule is taken to Court the only issues that can be litigated are those that occur in what is called the Record of the rulemaking, which includes the comments. This rule is definitely going to Court. How deeply you get into the rulemaking when you comment depends on how much time you have. It is okay to respond to accounts in newspapers, on CoalBlog, etc., or to some of EPA’s one page summaries, which can be found here. A single sentence may be worth commenting on. Given more time one can look at some of the actual 600+ page Regulatory Proposal and/or the 376 page Regulatory Impact Analysis. You do not have to read everything in these monster documents order to find something to comment on. No one understands all of it. It is especially useful to point out things like factual errors, questionable assumptions, false or unsupported claims. If it is helpful I have a catalog of 126 common faults in Federal regulations here. Just saying you do not like something, or raising philosophical arguments, etc., is not likely to be worthwhile. Specific findings and arguments are best. Above all be civil. These are not blog comments and this is no place for anger, abuse, wit or vulgarity, just cold logic. Imagine you are writing something for a judge to read and keep in mind that your comments will be public. Nor do you need a salutation or introduction. One can simply begin with “Regarding EPA-HQ-OAR-2013-0602 I make the following comments” or some such language. You do not need to say who you are, where you work or what you do, but if it is relevant to the substance of your comment feel free to do so, especially if you have special expertise as a result. Everyone is an expert in something. I personally find commenting to be great fun, especially when I find big mistakes or questionable assumptions. I hope you do to. This EPA rulemaking is highly questionable, to say the least. David Wojick is an independent analyst of complex issues and federal regulations.